Katie graduated from Central Michigan University with a B.A. in Fine Arts and a concentration in Graphic Design. She and her husband Brett have a son, Crew, and are also animal lovers. They have a 11-year-old cat named Mojo and 4-year-old German shepherd named Uela. As a family, Katie and Brett love spending time on the Lake with their son soaking in the beautiful Michigan summers. They also love to travel and try to get a few long weekends in experiencing new places like Denver and New Orleans. With her background and love for graphic design, her favorite part of her job is incorporating her eye for design with her technical skills (Which she says makes her job not feel like a job at all!). 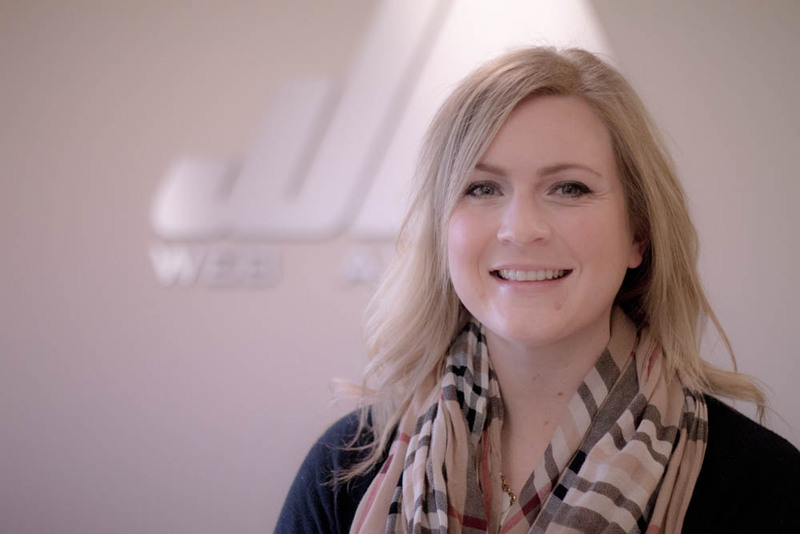 Her favorite project she’s worked on to date at Web Ascender that’s allowed her to do just that has been the Michigan Dental Association websites. When she’s not jet-setting around the country, she’s waiting for fall and football season. Her team of choice is the Packers – She’s a cheese head at heart! She’s also always on board for watching a good crime or mystery documentary.